I don't want to demystify Kundalini yoga too much. For me, that exotic mystery that Kundalini yoga holds is part of what draws me to it. I like the white clothing and the music and unfamiliarity of it all. It's mystical. I'm not sure I'm really qualified to be explaining Kundalini yoga in the first place, but bear with me and I'll try to give you my best explanation in my own words of what I have come to learn about this unique style of yoga. As a New Yorker, therefore, a natural skeptic, I was little unsure about this unusual style of yoga when I first came across it. Hearing that it was thousands of years old- made it a little easier to swallow. Knowing the proven benefits of all styles of yoga made it even easier to swallow. But... the chanting. Why the chanting? Why do we chant/use mantras in Kundalini yoga? And why do we do it in Sanskrit? Mantra literally means "to vibrate the mind". Chanting is believed to stimulate the 84 reflex points located in the hard palate of the mouth. Stimulating these reflex points is believed to stimulate the hypothalmus gland (which is located in the brain and is responsible for our emotions and behaviors). Stimulating the hypolthalmus gland, in turn is believed to stimulate the pineal gland. The pineal gland (also located in the brain) regulates body temperature, appetite, digestion, circulation and sleep. Additionally, the hypothalamus gland controls metabolic activity and helps us maintain healthy fluid levels and properly metabolize fats and sugars. Stimulating the pineal gland is believed to make the glandular system secrete- and when it does it creates a relaxed feeling of bliss. So, is there any scientific proof behind chanting? "One of the biggest studies of its kind, presented to the American Heart Association last year (2009), found patients with coronary heart disease who practiced meditation and chanting had nearly 50 per cent lower rates of heart attack, stroke and death compared to non-meditating subjects. Another study last year of students at Georgetown University found that chanting helped lower blood pressure after three months of regular practice." Okay, so why do we chant in Sanskrit or Gurmukhi? Why not English or another language? These languages have more vibrational qualities than other languages (like English) and these help stimulate the glands to open up your energy. Sanskrit and Gurmukhi are also used as a nod of respect for the origin of our yoga practice. 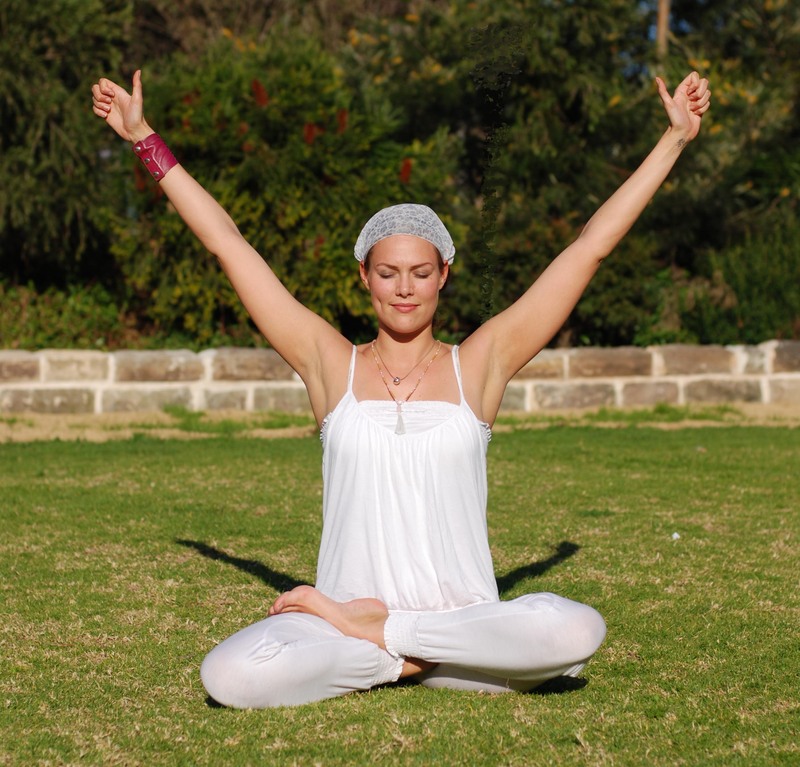 So, I hope that demystifies Kundalini yoga just enough for you to try it for yourself. If you feel calm, relaxed and peaceful when you're done, you might just want to try it out on a regular basis. Yogi Brent's video will be up on Monday. It will be a wonderful 11 minute first introduction into the chanting and breathing of Kundalini yoga. Namaste and Happy New Year to you all!